A closeup of panel seven. 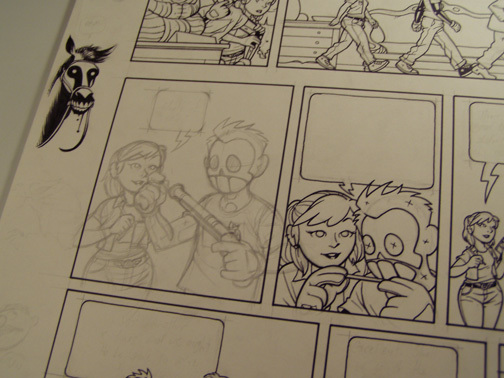 I wanted to show how sometimes I’ll draw off the side of the panel to make sure an arm is working right or something. You can also get a better look at the creepy horse. 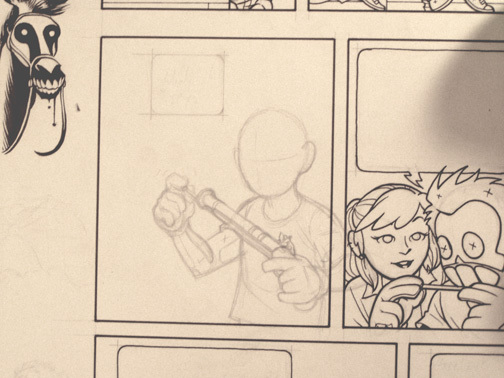 Finished pencils for panel seven. 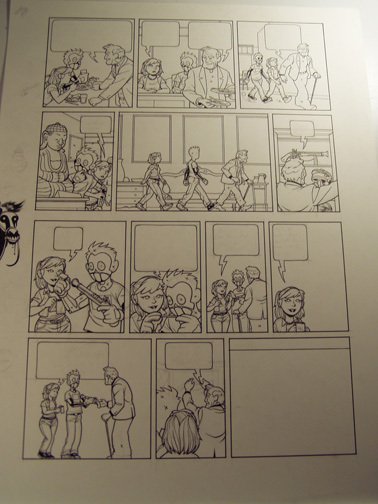 This is about as tight as I ever pencil, since I’m inking the thing myself. I can do a bit of the drawing with the pens and save myself some time. Almost the whole thing done at this point. I still have to put in backgrounds in panels nine, eleven, and twelve, and I have to draw a castle in panel thirteen that I haven’t started yet. I went to sleep between the last picture and this one. 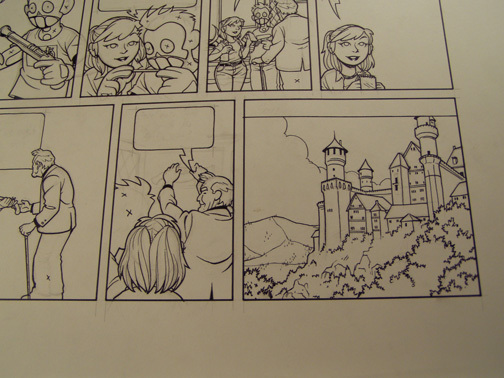 I felt like starting the day by drawing a castle, so I pencilled and inked the last panel in a go.